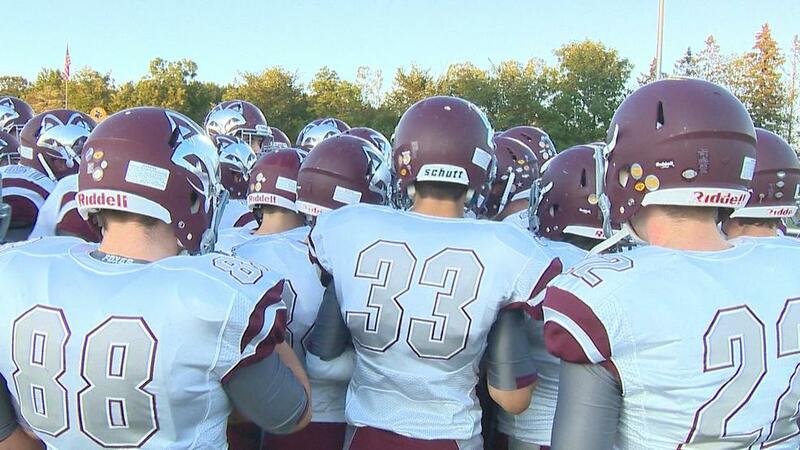 Fox Valley Lutheran has won each of its first four games this season. APPLETON (WLUK) -- Fox Valley Lutheran is making to a statement Friday when Wrightstown visits in the Game Time Game of the Week. It's a battle of FOX 11 Top 11 teams who have not yet lost this season and after Friday's game one team will be looked at as the team to beat in the North Eastern Conference. How big is this game? "It's huge and our kids know what's at stake and so do the coaches and we're looking forward to the opportunity to play a really good team in Wrightstown," FVL coach Adam Frey said. FVL, ranked No. 6 in the FOX 11 Top 11, has not won a conference title since 2000. A win Friday would make the Foxes the favorite to end their drought. "It'd be big for our kids, I don't even think our kids realize how long it's been since we won conference," Frey said. "I don't think half of our coaching staff knows, even. So, I will have to let them know if we get to that point, but they know it's just a game at a time. We're looking at this game on Friday and we'll go from there." "It'd mean a lot since it's been 17 years since we've won it," running back Zayne Rodencal said. "It'd be great for our school and our teams." Based on its conference title drought, FVL has been a little off the radar when it comes to catching the eyes of football fans. So, Rodencal sees Friday's game as an opportunity to spread the word about FVL football. "I think it'll be all eyes on us," Rodencal said. "There's obviously a whole bunch of Friday night games going on but we're Fox Valley Lutheran; most people don't see us as the football team or the athletic team. "We're turning ears and eyes and people are finally to realize that we have something special. We've had something special for a while now." WCWF CW 14 Green Bay Wisconsin provides entertainment programming, sports, including Ring of Honor wrestling and reports on events of interest to the community, including the nearby towns of Appleton, Shawano, Sturgeon Bay, Kewaunee, Two Rivers, New London, Bonduel, Pulaski, Suamico, Menasha, Neenah, Shiocton, Ashwaubenon, Algoma, Mishicot and Wrightstown.